Oxon Run Trail is part of a system of trails running through Oxon Run National Parkway in Southeast DC, and into neighboring Prince George’s County. This area is underserved by trails; the few trails that do exist are disconnected from one another. 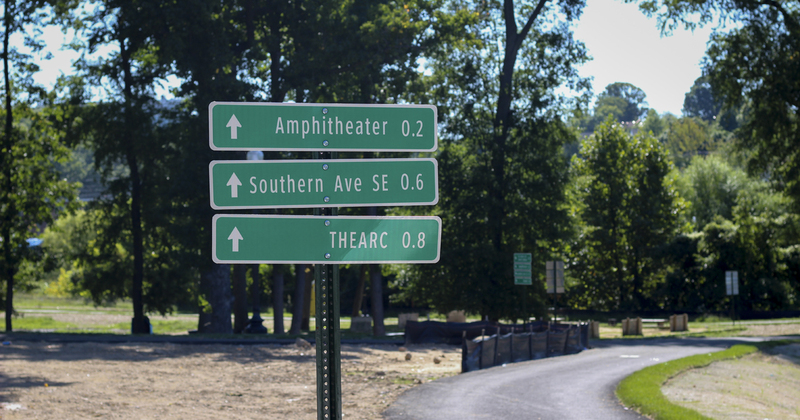 Recently, Oxon Run Trail was expanded and upgraded, with wider paths and better lighting, but completing significant stretches of incomplete trail will make the necessary connections to form a network. Once complete, Oxon Run Trail will be more than just a trail system in a park, extending beyond the park boundaries to connect Eastover Shopping Center, Forest Heights Elementary School, Southern Avenue and Naylor Road Metrorail Stations. It will connect with the planned Oxon Cove Hiker-Biker Trail and South Capitol Trail. 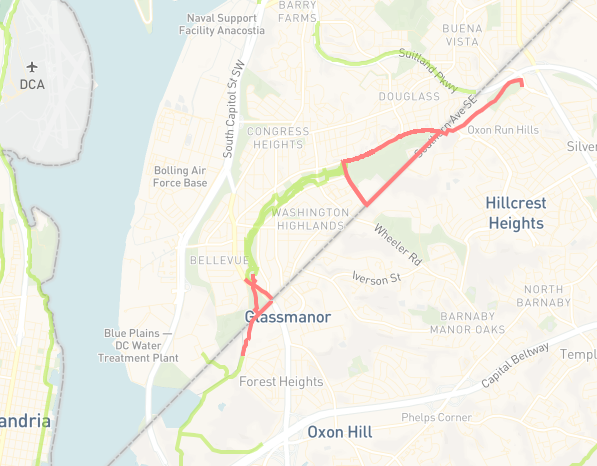 The incomplete segments of the Oxon Run Trail are highlighted in red. Click below to view the interactive web map. For more information on the Oxon Run Trail’s progress, visit the District Department of Transportation’s trail project website.